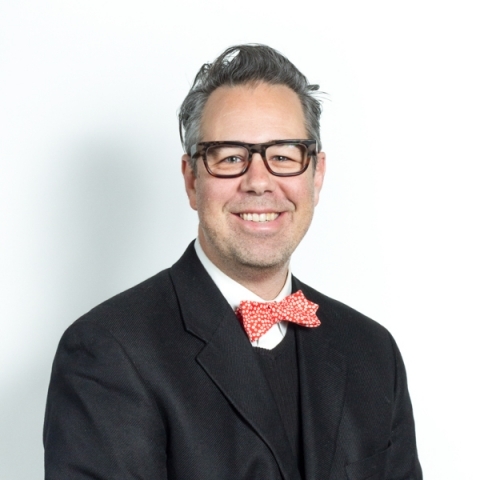 Matthew Mohr teaches senior advertising and graphic design, portfolio, and graduate seminar. An e-commerce designer and manager, Mohr’s professional career included a decade in New York with clients such as Samsung, Newsweek, NASA, Norma Kamali and Bloomingdale’s. He has presented at SIGGRAPH and was featured on RES magazine’s 2004 Who’s Now/Who’s Next list. In addition to teaching, Mohr currently co-owns Wonder-Shirts, a T-shirt company dedicated to encouraging children to read. BFA in design, Bowling Green State University, 1990; MFA in design and technology, Parsons New School for Design, 2003. Online: www.wonder-shirts.com and www.matthewmohr.com.